All seven eBooks in the multi-award winning, internationally bestselling Harry Potter series, available as one download with stunning cover art by Olly Moss. Enjoy the stories that have captured the imagination of millions worldwide. 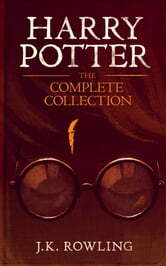 A must read trilogy, by far better than the movies (in my opinion. It's (if your not already aware) a series following the adventures of Harry Potter and his two friends, Ron Weasley and Herminone Granger, as they progress through Hogwarts school of Witchcraft and Wizardary. The genre is fantasy, with a small amount of action\adventure mixed in. The series does get increasingingly dark after the 3rd book, so be aware of that. I recommend this series to for ages 9 and up. Hop that you enjoy it! If you haven't already read and fallen in love with Harry Potter, quite frankly what has taken you so long?! 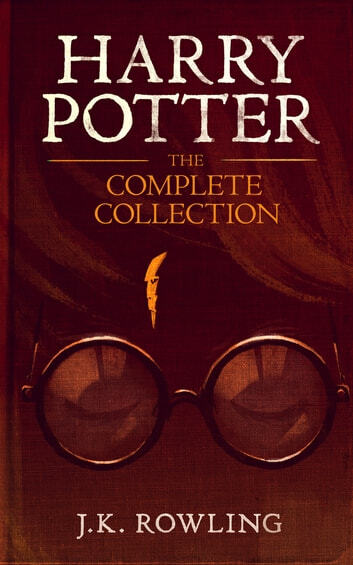 This is the book series that made me fall in love with reading, and it gets better every time I reread it! I LOVED IT SO MUCH! A lot of people think that this series is only for young aduts, but I reccomend it for people of all ages! As soon as I started reading, I couldn't out it down. You should read it.